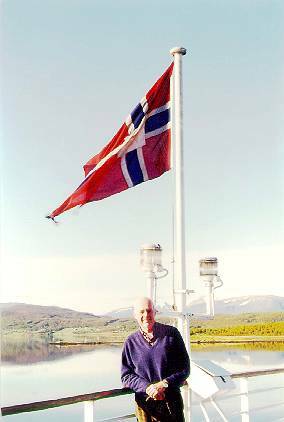 the ship Vesterålen, sailing the waters of Norway during his 1996 trip. 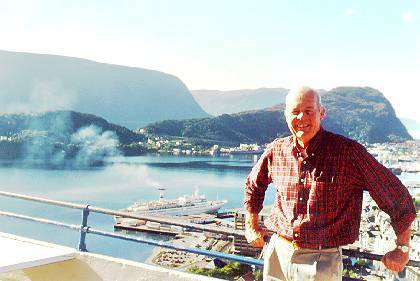 His honor poses at a site above Ålesund. 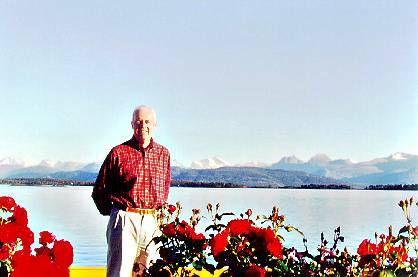 This shot was taken at Molde, looking across the fjord to the alps of Romsdalen. 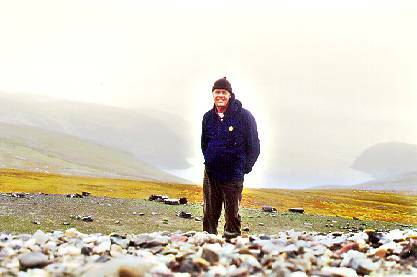 It's cold weather at North Cape, the northern-most point of Europe.